Can you believe that Christmas in July is already here? 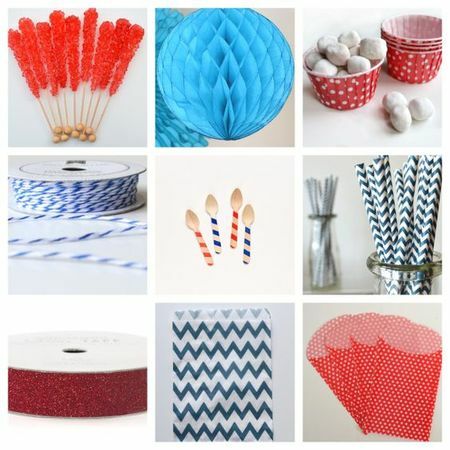 This is for The 12 Kits of Occasions July post! This month Marybeth Lopez is our hostess and what a gorgeous kit she sent to the team to play with. 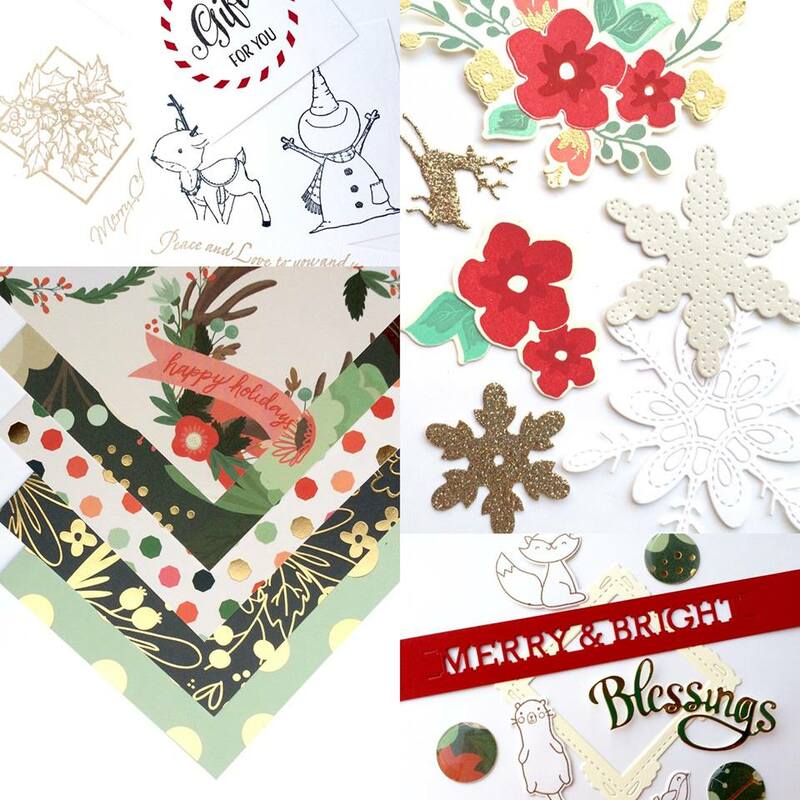 Stunning gold accented patterned papers and a wonderful collection of beautiful die cuts and stamped images to play with. Here is what I have created with my kit, hope that you hop around with the rest of the team to see all of our creations with this fantastic kit! 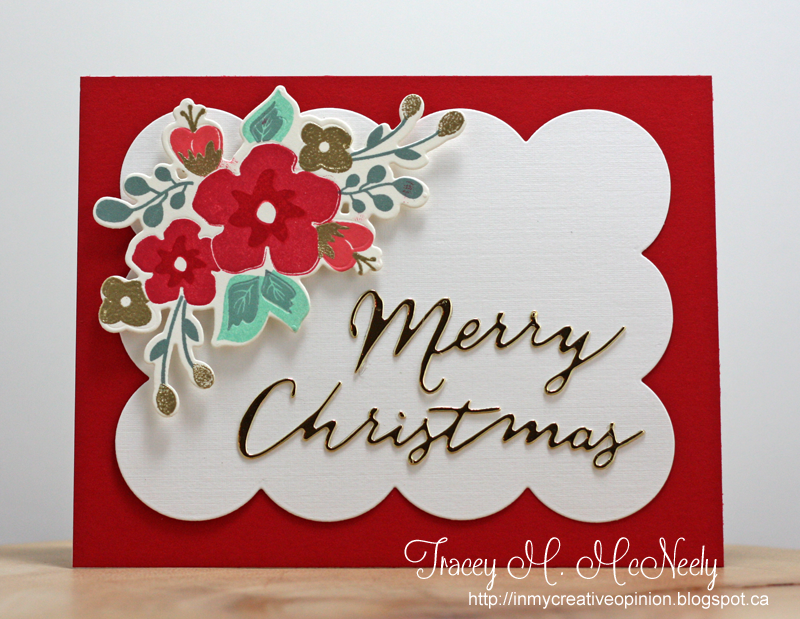 I have a card today for Muse ChristmasVisions Challenge #55! I decided to go with similar elements for my card. 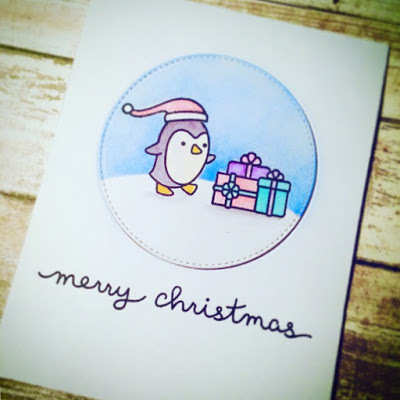 I used a circle frame, a penguin image and addtional image (the snowballs) and a blue sky. I started by fie cutting two circle frames. 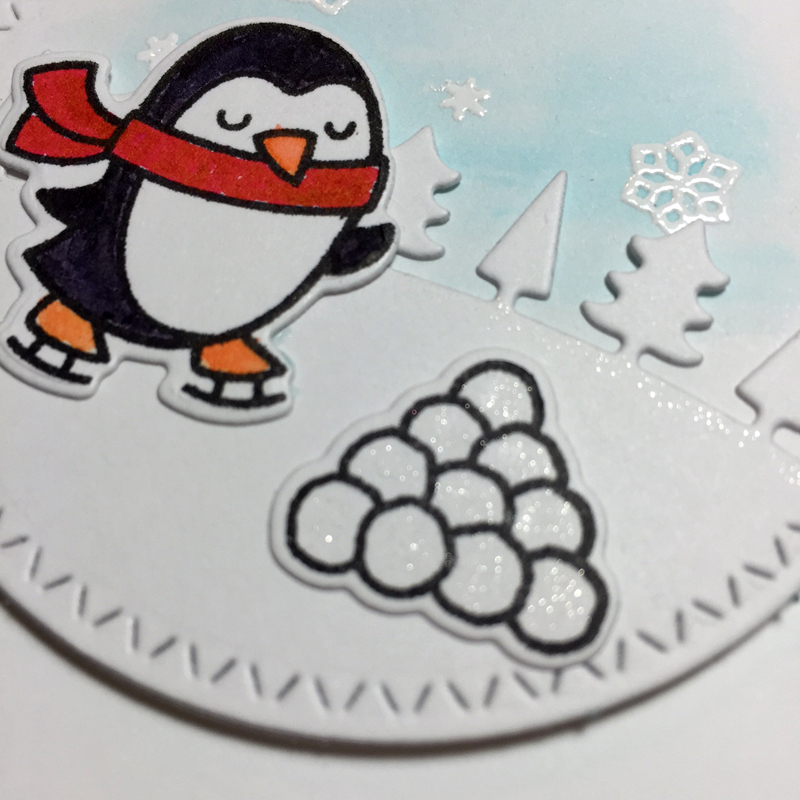 For the background circle I embossed five snowflakes in white and then I used a Light Blue ZIG's Clean Color Real Brush Marker to watercolour my sky. I cut the second panel with a tree landscape die and painted some Wink of Stella on to the snow in the horizon. 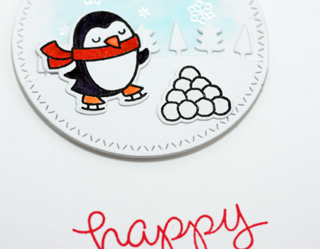 I stamped the penguin and watercoloured again with my ZIG's using an acrylic block and a water brush. The snowballs were painted with two coats of Wink of Stella. The sentiment was added to the card case and then the background circle panel was adhered to the card base with foam tape. The two images were adhered with adhesive. For Day 26 of Kathy Racoosin's 5th 30 Day Coloring Challenge! This is also for Simon Says Stamp Wednesday Challenge Blog: Anything Goes! It is the Civic Holiday weekend here in Ontario, a three day weekend for most. I am heading over to the cottage for the weekend and for the Annual Family Reunion at my brother's cottage which is on the same lake as my parents. 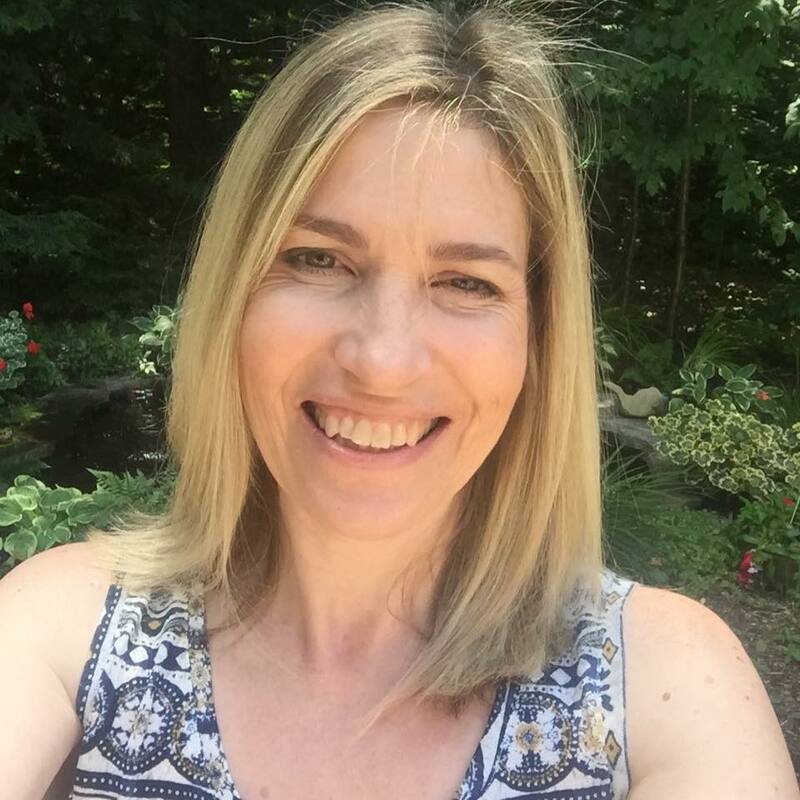 It is a bit of a crazy schedule for my crew--Ben and I are driving over Saturday morning in his car, I am leaving my car here for Brooklyn to be able to get to work (she doesn't have the weekend off--boo!) and my hubby has a meeting Saturday morning so he will be driving to the cottage straight from Detroit then on Sunday Ben will drive back to my parents house and my hubby and I will drive back to our house. Complicated enough? There is still time to play Challenge #52 over at Tag You're It, you have until Wednesday morning 9:00 am EST to link up. I was inspired by Amy's use of the vase with the flowers and the gold. I die cut a solid vase and stamped and coloured both with my ZIG's. 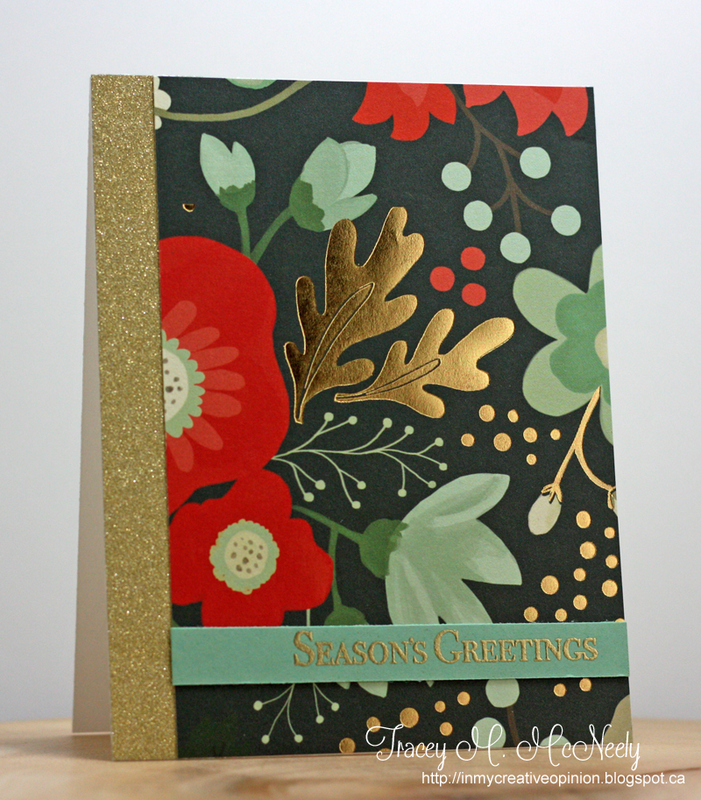 I added a gold hole reinforcer to the top of the tag and finally added some twine. 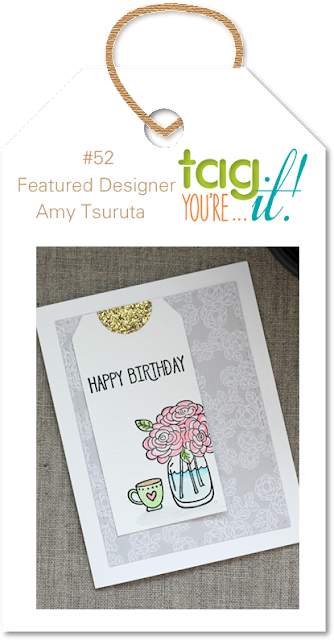 For Day 25 of Kathy Racoosin's 5th 30 Day Coloring Challenge! 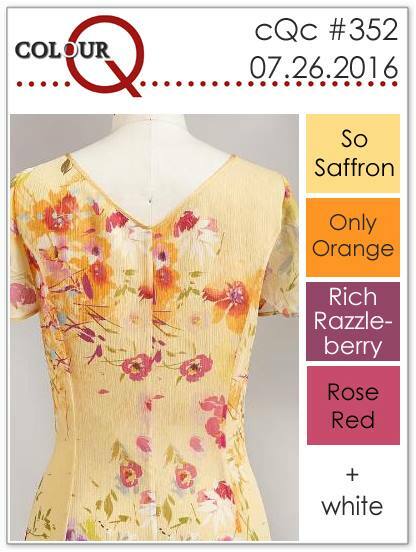 Is summer flying by for you? I started making this card this morning! It seems that every day is just busy busy and before I know it, the sun is setting! For Day 24 of Kathy Racoosin's 5th 30 Day Coloring Challenge! 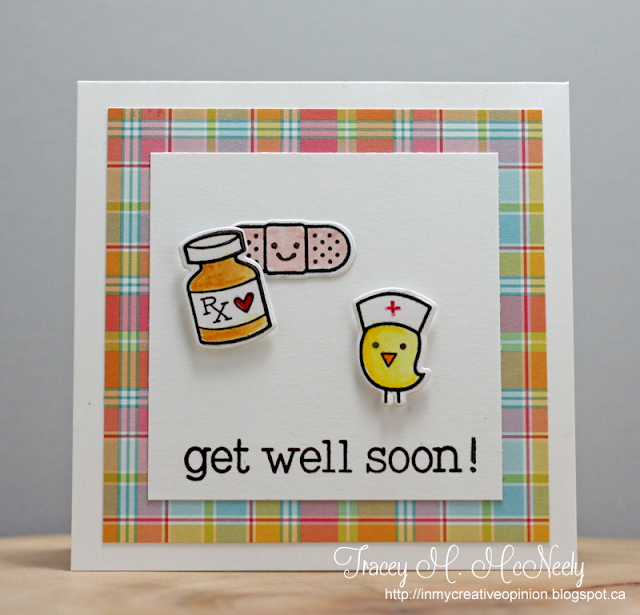 I stamped these images from Lawn Fawn's Get Well Soon on to Strathmore Bristol Smooth paper and coloured the images with my ZIG's. It seems each colouring challenge I focus on certain techniques. Challenges 1, 2 & 3 were working primarily with Copic colouring, challenge #4 was all about watercolour and #5 has been more about learning to work with my ZIG's. 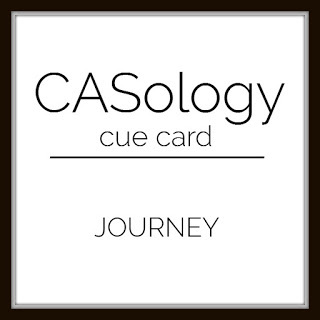 Have you been playing? If you have are you focussing on one technique or all of them? I finally broke open my Hero Arts June Monthly Kit to create a bon voyage card. 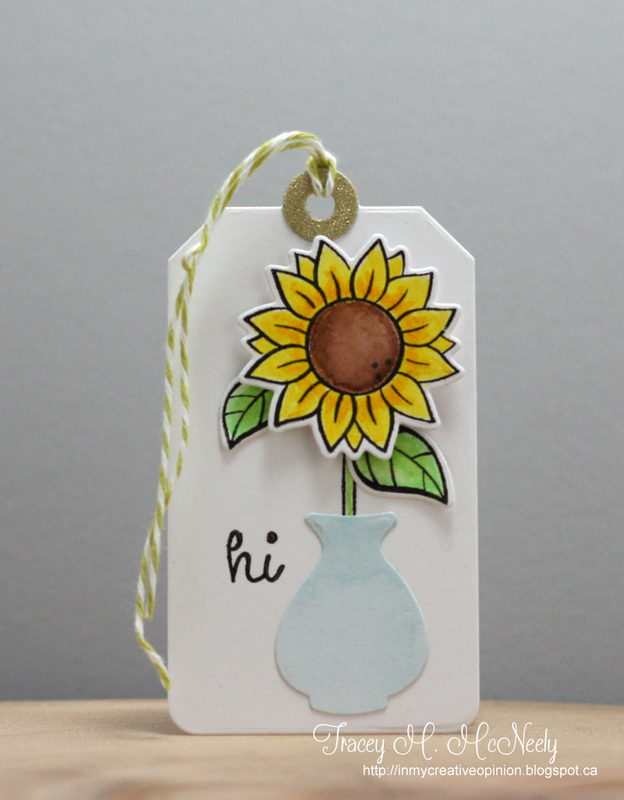 I created my tag from kraft and stamped the elements in blue, red and brown--my favourite ink colours to stamp with on kraft. Then I popped up the centre panel for interest and tied some air mail twine on to the tag. 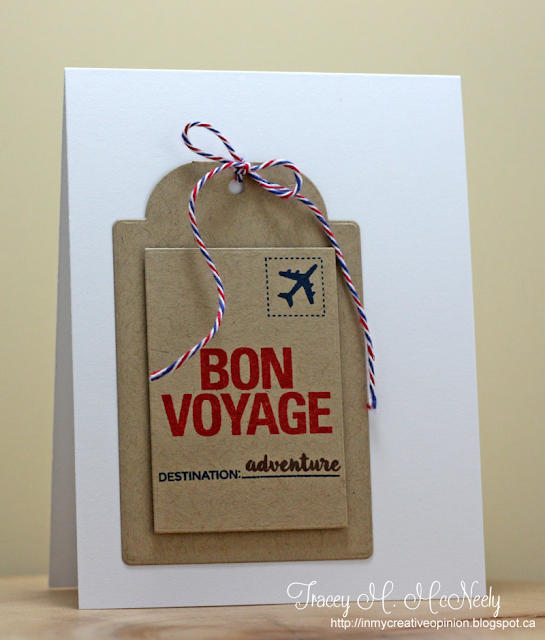 I like giving cards to friends and family who are heading out on vacation. I think they are so excited for their trip that letting them know that you are excited for them to in such a nice gesture. A beautiful colour palette this week but I decided to go bokeh with it. 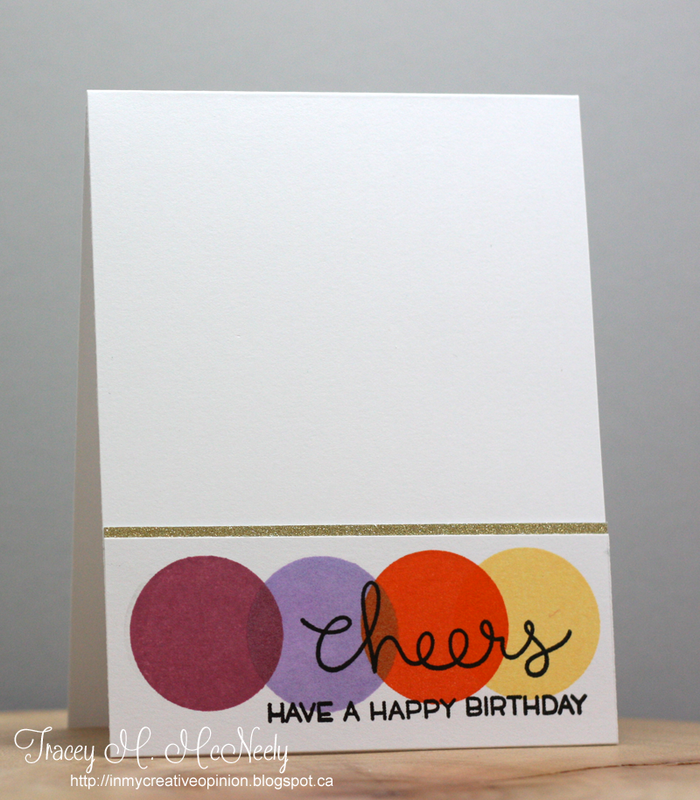 I used Lawn Fawn's Let Bokeh to create a simple line of overlapping dots, one in each of this week's colours. 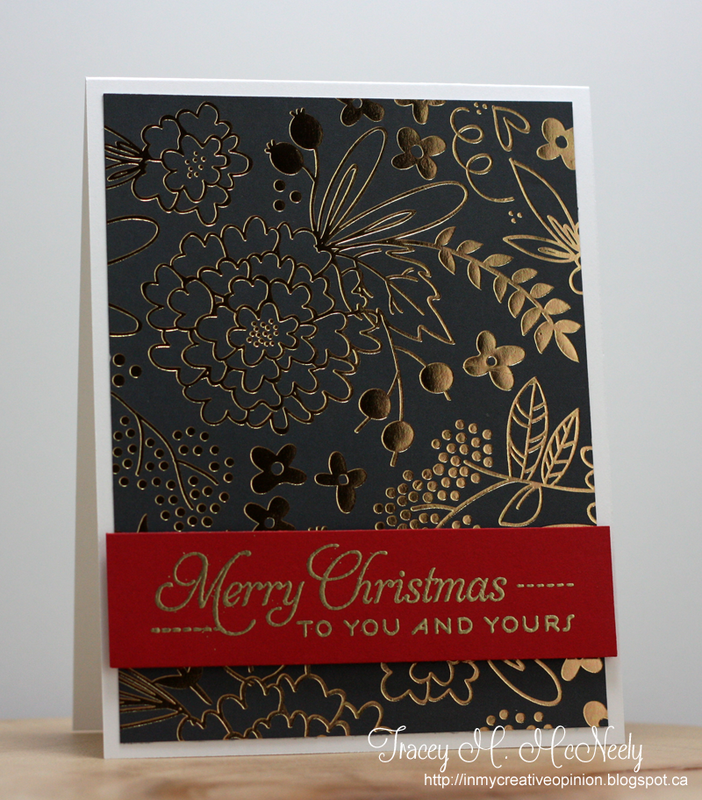 I finished it off by stamping the sentiment over the dots and added a thin strip of gold glitter cardstock to break the card up. 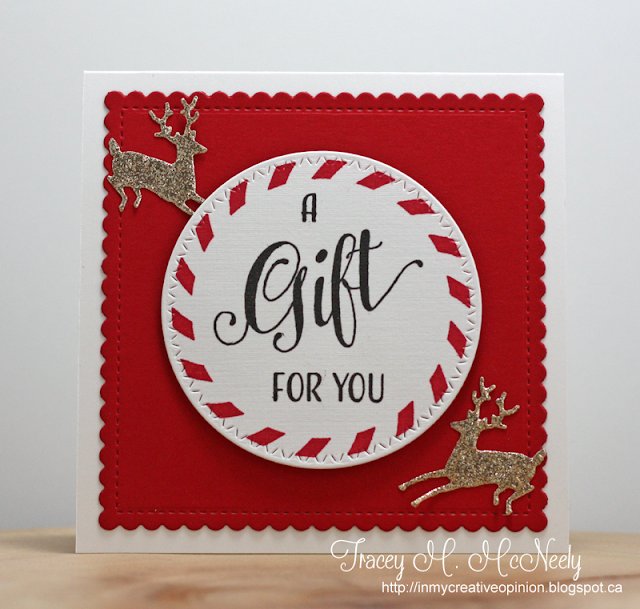 A card for the Essentials by Ellen July Pin-Sights Challenge! I decided to focus on the colour and I made a background using the single hydrangea bloom from Mondo Hydrangea and colouring them using my Zig Clean Color Real Brush Markers. The blue's were perfect but my Carmine Red Zig, which seemed a really good shade, went very pink when it was activated with water. I was still happy with the look of the background. 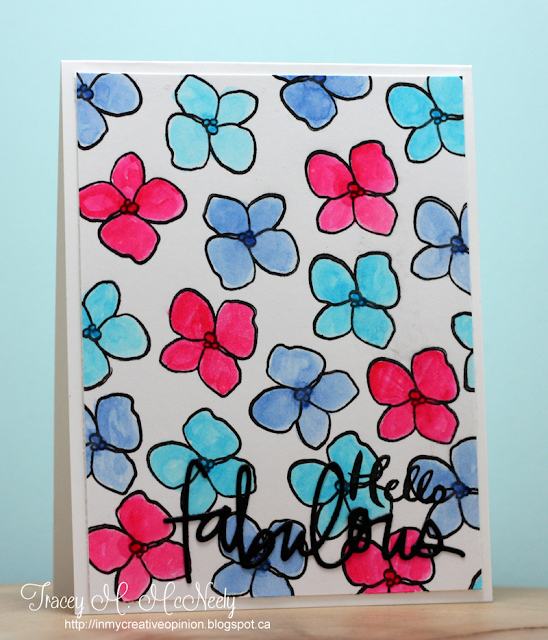 For Day 21 of Kathy Racoosin's 5th 30 Day Coloring Challenge!